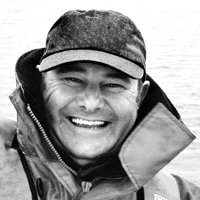 My name is Richard Corbett and the reason I am posting these ‘ short stories’ is so that you too can share the excitement of being out on the water on a regular basis. My boating isn’t ‘ordinary’ by any stretch of the imagination, as this is how I make my living but nevertheless most of you reading this will understand the feeling you get when skimming across the waves in a powerful motor cruiser and therefore you’ll have a good idea of what I’m experiencing as I test, deliver and handover boats. I will be posting all my adventures and also the skipper’s tips I’ve compiled over the years. Please feel free to comment and of course, if you have some adventures of your own that you think would be interesting I’d love to hear them too.